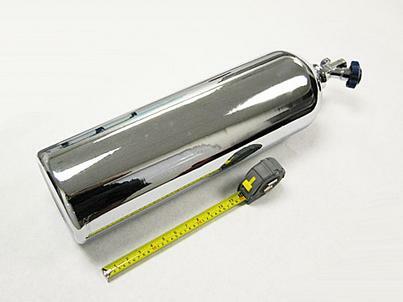 OBX Chrome Nitrous Bottles are a definite must-have for anyone thinking of running a full day of passes at the drag strip. Can you think of anything more embarrassing than running out of nitrous halfway through a quarter mile pass? That's why we at OBX decided to make bottles in several different sizes to fit the needs of any serious racer. Whether you're "squeezing" in an import, muscle car, school bus or speedboat, we at OBX have the right size bottle for you.